Turn your everyday life into a fun path to fitness. 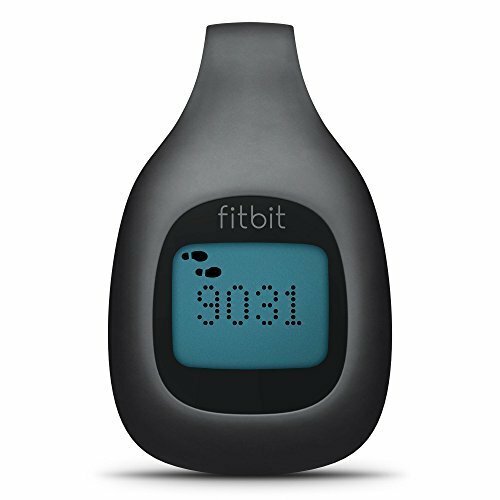 Much more than a pedometer, zip tracks your steps, distance, and calories burned then automatically syncs the data to your Fitbit account. Whether online or through the Fitbit application, you can set goals and stay motivated to keep on your path to fitness with graphs, badges, and friendly competitions. Check to see how you compare with friends and family even provide a message to egg them on. Your stats wirelessly upload via computer or select mobile devices (like the iPhone 4S), so you will know in real time when you are close to a goal and when you've reached one. Place the battery back into the tracker with the "+" side facing up, and close the door. Your Zip will now be reset. You will see your tracker's version number, followed by a series of Fitbit Smilies. When you tap your tracker, you should be able to navigate through the screens as you normally would. How do I reinstall the battery? Your Zip's display is powered by a 3V coin battery, CR 2025. If your Zip won't turn on, it may be due to a drained or misaligned battery. Insert the battery door tool into the rear door slot of your Zip and turn it counter-clockwise to unlock the battery door. Remove the door and battery. Reinsert your battery with the positive (+) end facing up, and replace the battery door. Insert the battery tool and turn clockwise to lock the battery door. The door should be flush with the rear of the tracker.